A window display is your first chance to promote your offerings and your brand. When designing your storefront, it might be best to ignore standard practices and do something nobody would expect. The Harvard Business Review suggested you can capture consumers' attention with expectancy violation theory - the need to investigate things that are out of the ordinary. If the window display for your shoe store displays chocolate bars, passersby will have an innate need to find out why. You may not want be too random with your visual merchandising for fear of confusing shoppers, but a tiny out of place detail can encourage intrigue. Colors influence behaviors. Shopify said stores favor the color red for sales events because it promotes a sense of urgency. If you want marketing that pulls people into your space, special deals have to stand out. This may mean red won't work if your overall branding is crimson, it would just blend in. You may think of using green because it communicates wealth or blue which creates impressions of honesty. You might think bringing product displays outside may appear sloppy, but there are certain times disorder can be profitable. Some stores use disorganized sales racks to create a kind of treasure hunt for their customers, according to The Mirror. If you put a clothes rack or shelf full of products outside, you can show off your stores variety. By putting an assortment of goods out front, window shoppers may start sorting through options and move inside when they see quality products, but not the specific ones they want. It's a fairly common tactic for grocery stores to put rotisserie chickens and fresh baked bread near the front door so the business greets shoppers with appetizing smells. Your business may not sell consumables, but the sense of smell is important and you should take it into account when designing your space. For example, when you run a bookstore you probably don't want the people walking by your front door to get a whiff of must or mildew. Instead, you can use air fresheners or candles to create a proper atmosphere that extends from your store to the space immediately out front. Wouldn't it be great if you could greet every person who walked by your store? If you use a mobile loyalty program, you can send discounts and promotions to shoppers in your area looking for a good deal. As soon as they're within range of your front door, mobile shopping subscribers can receive whatever message you want to send. You should find a flexible program you can design yourself to take advantage of other tricks like color and expectancy violation. Each store only has so much space to display products, interact with shoppers and provide informative materials. In the past, businesses were hesitant to devote real estate to frivolous pieces of entertainment that attracted shoppers, but failed to convert sales. Technology advancements allow stores to feature displays that entertain and inform while taking up very little room. Stores can hang flat screens on walls able to interact with consumers through digital functionality. Shoppers can rotate through outfits, dive down into product details or even play games. Time magazine featured businesses using technology to encourage visits by offering shoppers free recreational digital activities or computing product demonstrations on giant, immersive screens. Offering shoppers' technology they can't find anywhere else turns a store into a fun destination. Advanced displays can serve double duty if they offer innovative experiences and show store offerings. One major advantage physical stores have over online retailers is customers can actually hold merchandise in their hands and check to see if clothing fits. Products like women's dresses really don't have a universal size system; a four from one brand can be very different from another. Smart dressing rooms allow consumers to check how clothing looks while still browsing through products like an online store. According to The Fiscal Times many high-end clothing stores have smart dressing rooms with touch screen computers that communicate with inventory systems. A shopper may bring items into the fitting room and then use the mobile device to scroll through other options the store has in stock. If something doesn't fit, a person can check for other sizes or find different colors and styles without having to constantly travel back and forth. Many smart dressing rooms are capable of communicating with sales staff. This allows employees to bring outfits to shoppers in fitting rooms or prepare items for sale without forcing customers to carry numerous products around with them as they continue shopping. This one may seem a little creepy at first, but stores and customers can profit from mannequins able to watch consumers. Stores outfit retail displays with scanners and sensors that record and analyze shoppers in hopes of understanding consumer trends better. EMarketer said mannequins are the perfect host for facial recognition technology because they naturally draw the eyes of consumers. Most stores need advanced data analytics to stay competitive in the modern market. Just recording information from sales isn't enough, stores need methods to track every shopper who walks through their space and learn what separates browsers from buyers. The benefit to the shoppers is increased personalization. If a store understands what type of customer is most likely going to visit the space during a certain time or season they can present offers and deals that really communicate to the shopper's needs. When the mannequin recognizes a customer, so will the store. 4. Beacon technology delivers specialized discounts. Some of these technologies are a little high-end, but most stores can offer shoppers personalized discounts and capture consumer data by implementing cost-efficient beacon technology. Like mannequins' sensors, beacons recognize certain shoppers but instead of taking video of their faces, beacon signals communicate with shoppers' mobile devices. If a customer downloads a beacon loyalty app they can receive special discounts and coupons whenever they step into their favorite stores. Companies with beacon apps send greetings and discounts automatically based on a particular person's previous interactions with the business. Shoppers can also use the app to record their own activities and earn rewards through membership programs or digital punch cards - and they won't leave their information at home like previous loyalty cards. Most beacon programs are less invasive than other monitoring technologies because the power is in the consumer's hands. Each shopper can choose whether or not to download the app. After installation, a customer can choose when to turn on GPS technology to capture activities and earn discounts and deals. It is technology specifically designed to make shopping fun and rewarding without the hassle of similar programs or the privacy issues of other tracking innovations. 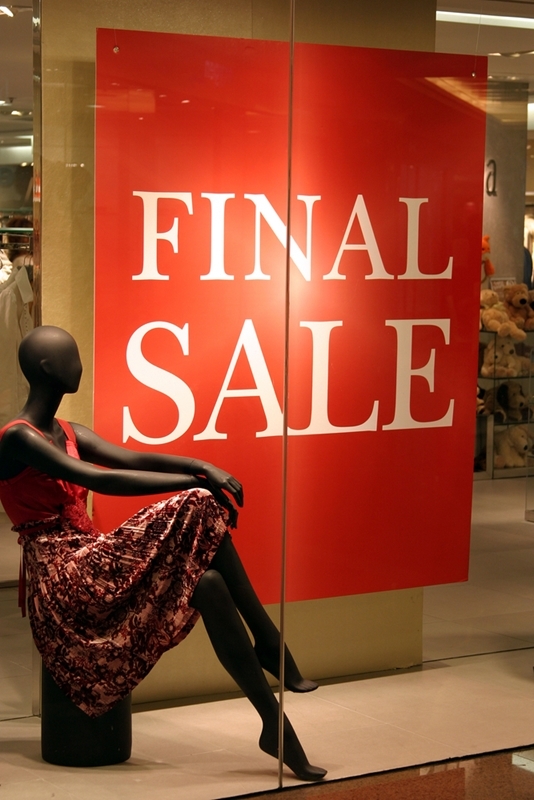 Retailers can learn a lot from shopping trends demonstrated by the 2015 holiday season. After a slow Black Friday, ABC News reported holiday sales are projected to grow a little from 2014 but not as much as previously hoped. Across the board, most stores project consistent business but are still slowly losing ground to e-commerce channels. By studying what 2015 holiday shoppers like about online channels and want from physical stores, businesses can design more effective retail spaces for 2016. Small Business Trends suggested numerous consumers still favor visiting physical spaces over shopping online. Some of the benefits shopping in stores provides include the ability to speak with product experts, try out merchandise and not having to wait for delivery. These advantages can really stand out in the holiday season when people buy products for friends and family that need to be available by specific deadlines. People visit stores to get their hands on presents they can take home for Christmas themselves instead of leaving delivery to outside parties. Shoppers need help with merchandise because they buy for other people, so they ask questions about brands they themselves have no experience with. Some stores can go the extra mile by offering decorations and displays that delight young shoppers and families. With the right marketing and interior design, a small business can turn its location into a holiday destination. Despite numerous advantages, some stores struggle to provide the convenience and personalization of online retailers. The National Retail Federation report for the 2015 holiday shopping season predictedalmost half of all gift purchases will be made online. E-commerce holiday spending has been growing steadily for the last 10 years. To compete, CBS News reported, many stores go to extreme measures to make physical spaces just as convenient as online stores. Some businesses plan to stay open much later on Christmas Eve for last-minute shoppers. It may not be long until stores stay open on Christmas Day itself. When sales really start to slow down, stores have to slash their prices and offer promotions that may put them in the red. Businesses need to find more effective ways to compete with online stores during the holiday season and throughout the year. TechCrunch suggested physical spaces can use technology to offer online convenience through cost-efficient and innovative means. The NRF report found more shoppers should use mobile devices to browse for products while debating whether to make a final purchase online or in-store in 2015. Not only that, but if shoppers do visit a physical space, they will likely use their phone or tablet to compare options and search for the best deal. If a business uses an in-store tool like beacon technology, they can offer the simple and personalized experience of online shopping, but with the advantages of a physical space. Business can push special holiday promotions and greetings to every shopper that enters their store through his or her preferred mobile device. It gives customers another reason to make a shopping trip a fun winter tradition.